EP 019: Dave Woodward – Special Episode for Entrepreneurs – What is a Sales Funnel! Today’s guest on The Expat Money Show is the Host of Funnel Hacker Radio a Top-Ten Business Podcast and is the Chief Revenue and Business Development Officer at Clickfunnels. Dave Woodward joins us on the Podcast to discuss what is a sales funnel and more importantly… why do you need one today. How to develop a lead to a buyer as quickly as possible? Why will a regular website not cut it anymore? What are some of the most common mistakes new Entrepreneurs make? What is the number one thing you can do TODAY to fix your website? In this Episode, we discuss what is a sales funnel but we also talk at length about Clickfunnels, the most powerful funnel software on the planet. I have used this software extensively and loved how easy it was for me to navigate even though I know NOTHING about programming. I remember a couple of years ago when I started my online Travel Agency and I didn’t have access to a product like Clickfunnels I had to hire a programmer to do everything from scratch for my website. Without a lie it cost me over $30,000 USD to build and took more than 4 months… yes it is a beautiful website, but today I would be able to do the same thing in a fraction of the time and for tens of thousands of dollars less. The list of successful Entrepreneurs who use Clickfunnels software is staggering, including Akbar Skeik, Trey Lewellen, John Lee Dumas, and about 56,000 other Entrepreneurs from around the world. Even Robert Kiyosaki and Dan Kennedy wrote the forwards to the books Expert Secrets and DotCom Secrets. I could just write out in a couple sentences technically what is a sales funnel but that will not explain the complete picture. That’s why I would suggest you listen to this complete episode of The Expat Money Show and then claim your free 14-Day Trial of Clickfunnels here. Take the 14-Days free trial… take the free training… beat the hell out of the software! Learn everything you can about it and discover how easy and powerful it is… then make the decision if it is right for you or not.  That will actually answer your question of what is a sales funnel, and more important than knowing what is a sales funnel you will understand how to use it to take your ideas and turn them into an additional stream of income, which at the end of the day is what I am always trying to help you to do on The Expat Money Show.